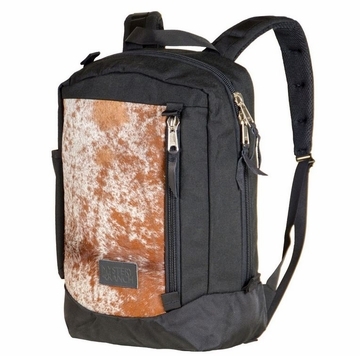 """With a nod to its ranch roots, the limited edition Mystery Ranch Moo blends their proven daypack design elements with yippee-ki-yay style. It features a simple-to-access main compartment for larger items and a zippered accessory pocket on the front exterior to stash small essentials. To fend off the inevitable parch of life on the range, there's an exterior water bottle pocket for quick-draw access to beverages. Please note, each Moo pack is unique and the hide pattern may vary from that pictured above.